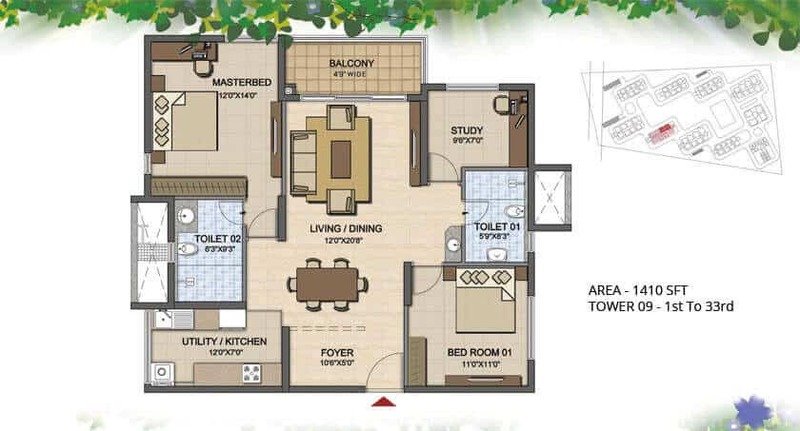 Prestige High Fields is Hyderabad's first Disney-themed magnificence development, sprawled across the area of 21.85 acres with 10High Rise Towers for stunning spacious apartments for the lavishness look. 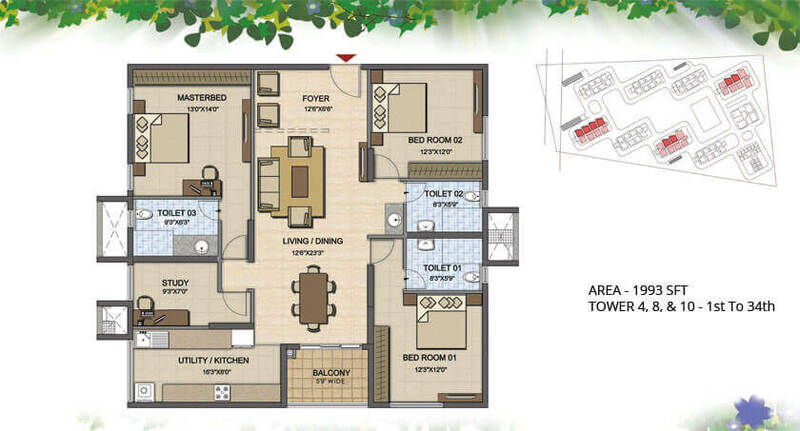 It consisting of 2,240 mesmerizing apartments of 2, 2.5, 3, 3.5 & 4 bedroom sets. 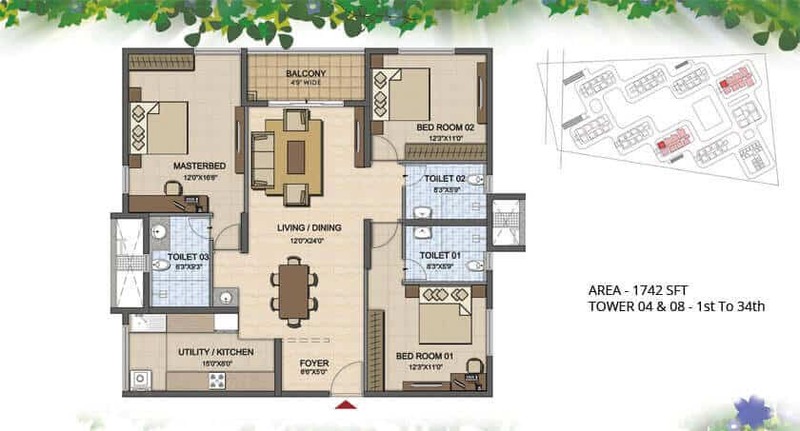 Each apartment in this project are all attractively landscaped and thoughtfully laid out to give you a lovely sense of space along with maximum ventilation and natural light. 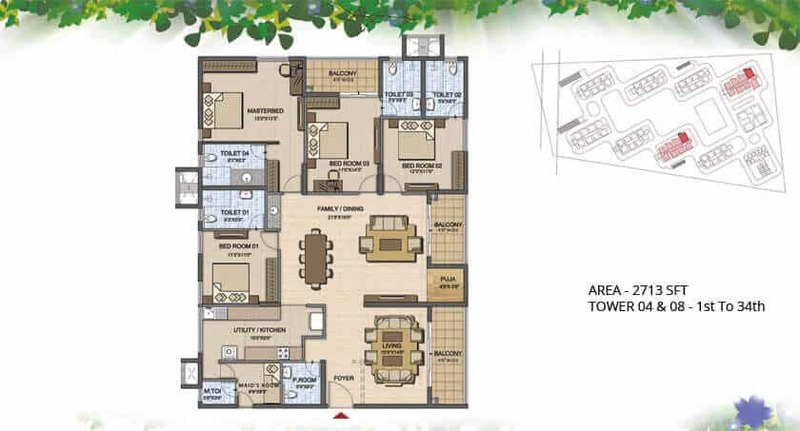 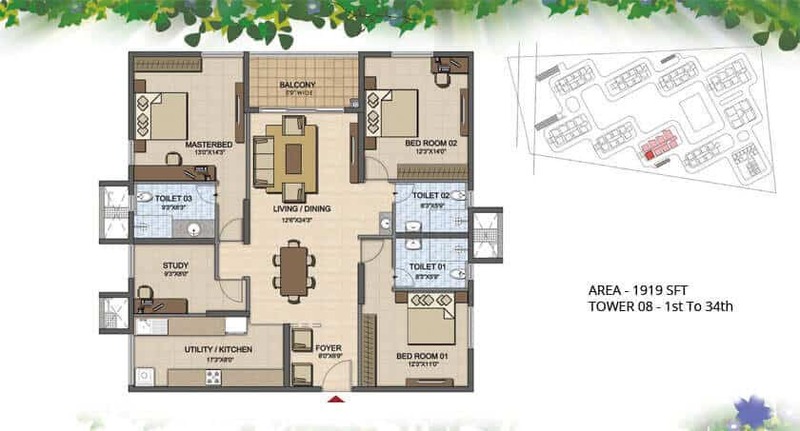 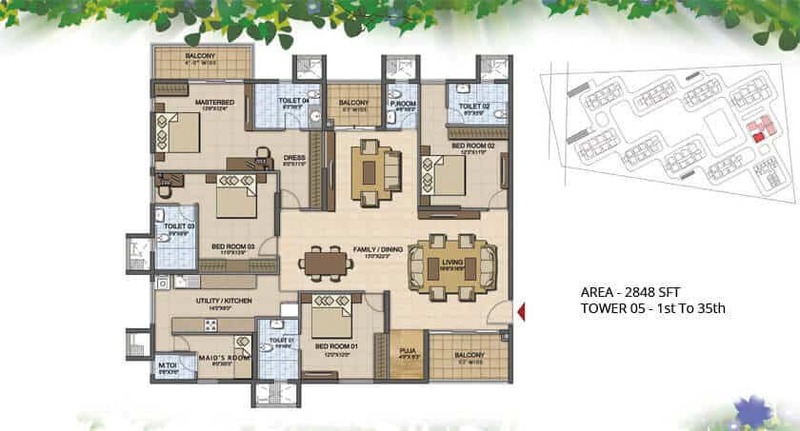 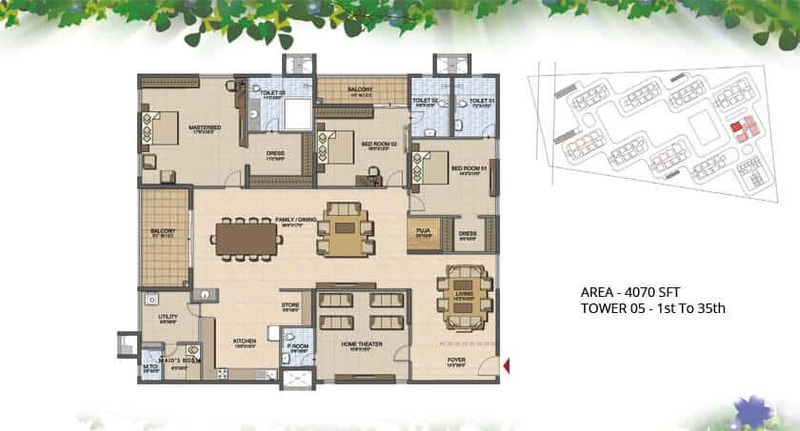 The Unit sizes are available in 2-bedroom flat starts from 1283sqft – 1492sqft. 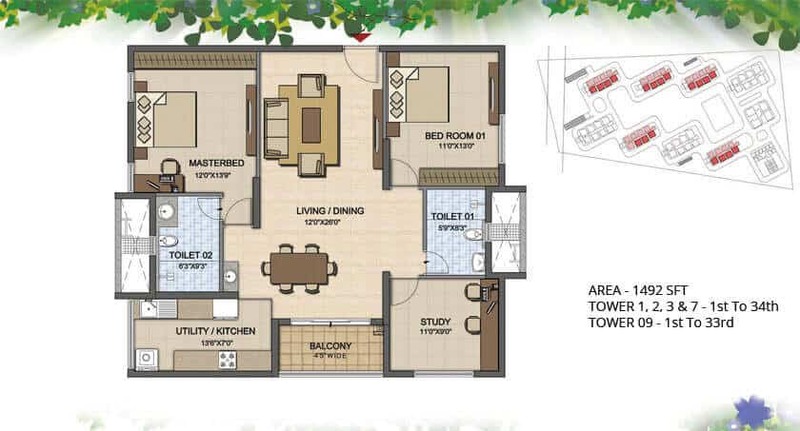 The 3-bedroom range starts from 1742sqft – 1993sqft. 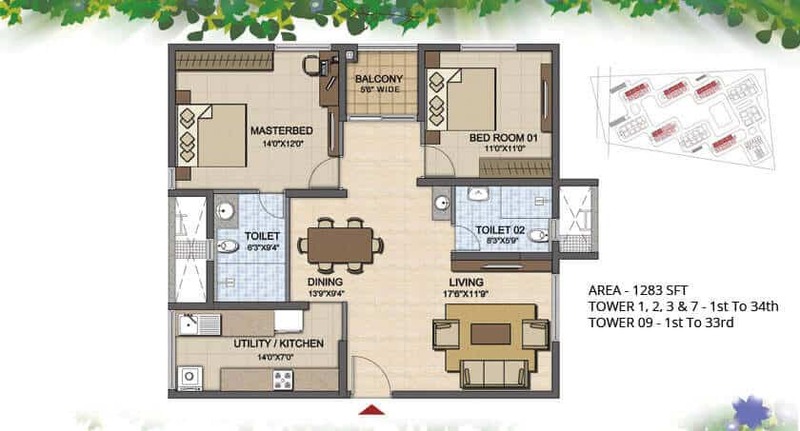 and 4-bedroom flat range in 2713sqft – 2848sqft.All these units are made with modern, unique and pleasant to the eye designs bringing comforts and solaces near to you.